Rachel is delighted to announce the forthcoming publication of her new book 'Fierce Imaginings: The Great War, Symbol, Memory and God'. Published by Darton, Longman & Todd it will be out in early 2017. David Moloney, Managing Editor of DLT writes, "I’m delighted to announce news of a book by Rachel Mann that we will be publishing early in 2017. 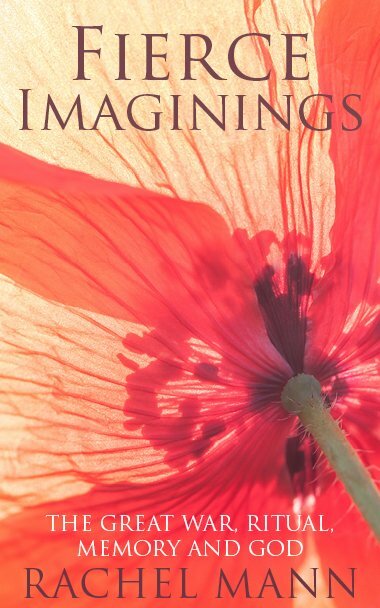 ‘Fierce Imaginings’ is a superb reflection on the place occupied in our individual and collective memories of the First World War, what the rituals and memorials devoted to it now mean to generations increasingly distant from those who lived through and fought in the conflict, and how the wisdom of Christian spirituality can help us understand the subsequent century of lost innocence. Rachel’s manuscript is beautifully written – as anyone who has read her memoir ‘Dazzling Darkness’, or ‘The Risen Dust’ (her recent collection of poems and stories for Easter) would expect – and shares both personal memories and many that will be shared or recognised by so many for whom the wounds of the Great War lie deep within. Look out for this one – it’s a moving and fulfilling read."